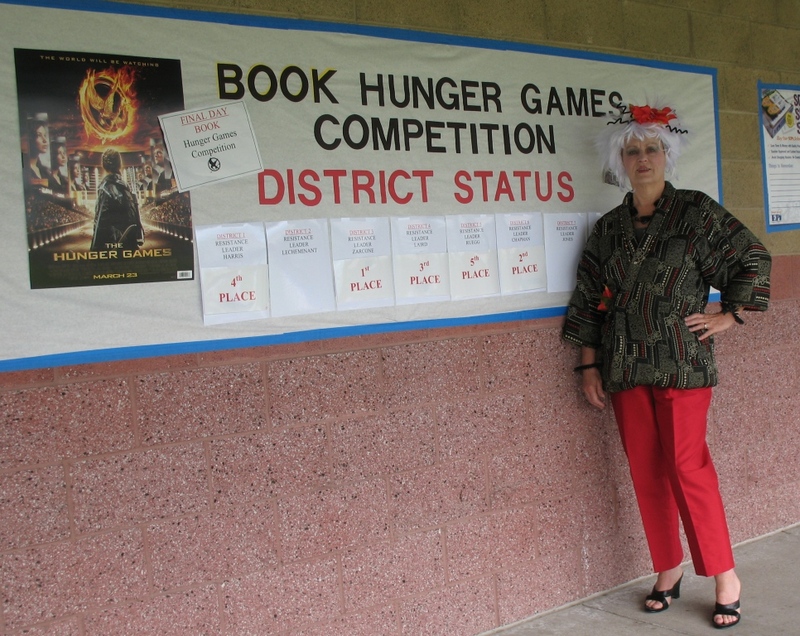 Fallon Middle School students raised over $1800 in a “Book-Hunger” Games competition recently with donations used to supply books for children in unfortunate circumstances. The fundraiser tied into Scholastic‘s “One for Books” program where Scholastic donates one book for every dollar raised, with a donation of up to one million books to three non-profit organizations dedicated to helping kids and families in need. The organizations include the Marine Toys for Tots Foundation, Kids in Distressed Situations, Inc., and the Kids In Need Foundation. Fallon’s students put 1,801 books into the hands and hearts of unfortunate children by participating in the program. 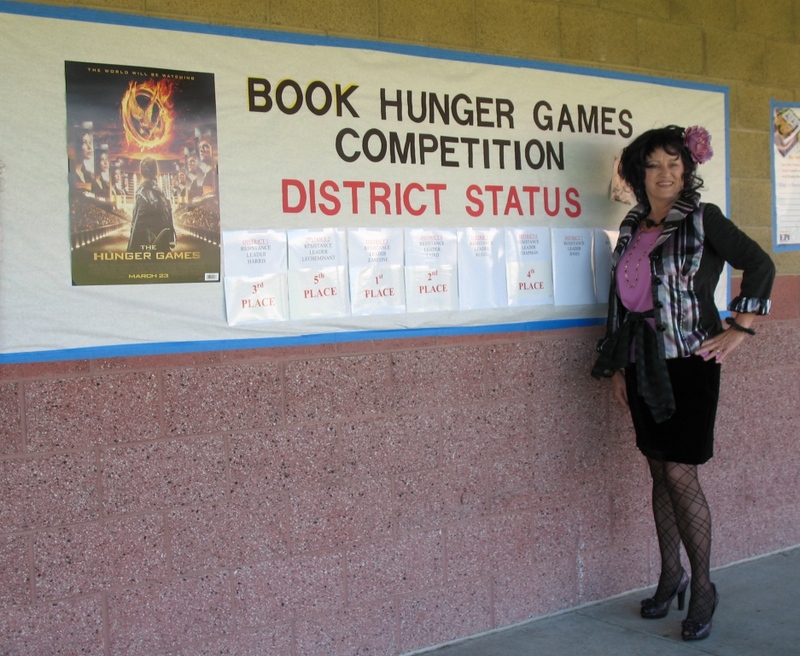 Building on the popularity of the “Hunger Games”, Liana Smith, “Capitol” Media Technician, oversaw the challenge among Fallon Middle School’s ten “Districts”. Smith knew there would only be one victorious district, however she was unsure of which would prevail because a few districts had advantages over the others. Ladies and Gentlemen, Let the 1st annual Fallon “Book-Hunger” Games Competition Begin! “Not only were our students helping unfortunate children, but they were also lending a hand to increase their classroom library. All of Fallon’s students were divided up into Districts with their English Teacher as their District’s Resistance Leader.”, Liana Smith. One for Books donation bins were revamped to reflect the District’s number. Students made donations in their classroom and they were tallied daily. The school’s newsletter and library’s website advertised the competition. An email-blast went out to parents informing them of the book fair as well as the competition. Daily morning announcements were broadcast over the school to inform the districts of their status and rankings. On some mornings, music or clips from the movie were added into the announcements for attention grabbing effects. A banner was created and hung outside the library to reflect the daily rankings for all to see. Some students even received “parachute” donations just like the tributes in the book did. During the last week of the competition, Mrs. Smith, Media Technician, promoted the event by carrying a sign in front of the school at morning drop off time. Not only did she do this, but she did it dressed up as Effe Trinket and different Capitol citizens and made quite the spectacle of herself.